Watch the cats reactions when he throws them an Easter party… I could watch this forever, LOVE IT!! Cats usually don’t get to enjoy easter, but luckily Cole & Marmalade have an awesome human who loves to throw them parties for just about any holiday on the calendar – You’ll love the results of this exciting Easter party! 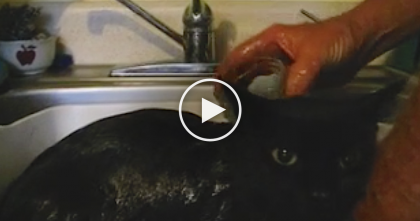 Spending quality time with your cats is very important and your cats will love you right back – this cute and adorable Easter play party just couldn’t get any cuter – what a great idea for Easter… AWWWWW!! 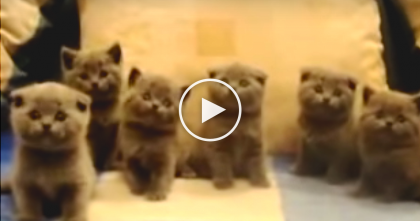 When these cats discover the Easter party… Just watch the video!! 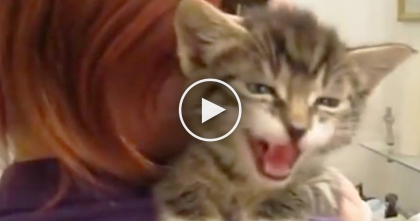 Tiny Kitten Starts Cutest Conversation…But How She Responds To Mom’s Questions? Listen To THIS! 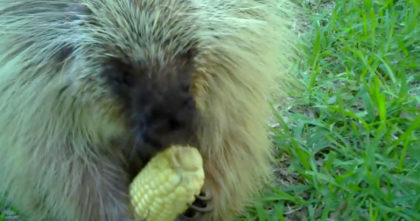 She gives porcupine some corn, but when she tries to take it back… OMG, now listen to the response! !